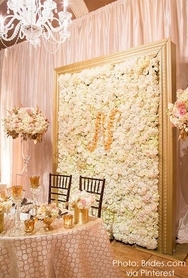 We LOVE these Flower Garlands. Until we opened them. 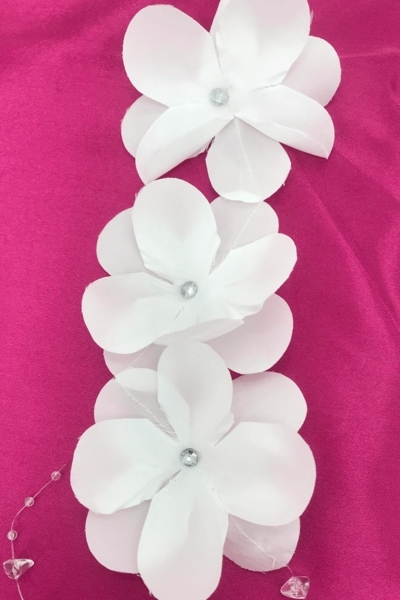 They were supposed to be dainty white fabric flowers with rhinestones in the center of each flower, connected to each other with clear white crystal rocks. The problem is that the glue used to attach some of the rock strands was either a) used too sparingly or b) the weakest glue ever made. While the flowers are ADORABLE, and the Crystal Rock Strands are AWESOME, the rock strands come apart from the flowers. Some strands are ok, but most come apart. The flowers are still intact. You'll notice also that there are 2-3 flowers attached to each other still in a strand because those were SEWN together instead of glued. 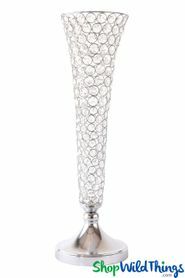 Also, the flowers are double-sided and each side features a rhinestone. The flowers are pure white, making them ideal for weddings and spring garden parties. 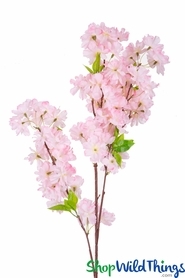 Use them in centerpiece designs to encircle candles or place on mirrors for a 3-D effect. Add to invitations, use as hair accessories, in flower bouquets, as cake decorations or hang from a trellis or wedding arch. 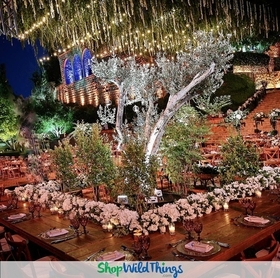 You'll get 12-15 Flowers per 6 Foot Garland, and you'll get 6 Garlands per $9.99.